They are used for grinding raw sewage. Liberty’s Grinder Pumps offer superior cutting technology which provides improved shredding performance over radial cutter. The V-Patter of the grinder provides up to 108 alternated cuts per revolution. Entire cutting system is made up of 440 stainless steel hardened to 58 Rc. any system requiring high pressure sewage pumping. 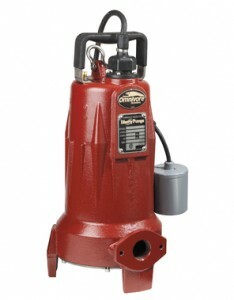 The Liberty Grinder system is also available in 115 volt, single phase for residential use. The sheer power of these pumps has to be seen to be believed! If you have any questions about our Grinder Pump Solutions, please call or contact us at (403) 243-3310 or Toll Free at 1.800.784-4324.